Perhaps you’ve been making smoothies for some time now. If you have, that typically means one of two things; you are either, 1) a smoothie burnout or, 2) a crazy smoothie expert. If you’re like most people, chances are you’re in the burnout stage. Part of that burnout comes from the continual process of gathering and preparing ingredients and equipment. The people who have advanced to crazy smoothie expert have found ways around the tedium. Let’s take a look at a few things we can learn from the experts. You bring home all your lovely fresh spinach and kale, stick them in the refrigerator and start your smoothie making routine. Every morning, you dig into your fresh stash, pull out what you need, and proceed. By the end of the week, the bottom of the spinach is looking, well, yucky, and your kale is pale. Fresh is great, but… save your fresh greens for a salad. Divide up those greens and freeze them in portion sizes for each smoothie. You’re going to be blending them up into a pulverized puree so it doesn’t matter if they are fresh, and they actually blend better frozen. If you like a creamy smoothie, forget the milk or regular yogurt. You would have to add a lot more of either to get the same protein boost you would with just a little Greek yogurt. And, if you add as much milk or regular yogurt as you’d want to get the protein, your smoothie will start getting thinner and have a diluted flavor. You want to taste all the yummy fruits and veggies, not just the milk. Greek yogurt has a much higher protein content than either milk or regular yogurt. And it only takes a spoonful to create a creamy texture and tangy taste. If protein is an important part of your healthy smoothie, this is an easy way to add it without investing in a bunch of protein powders or additives. Okay, I’m not saying add liquor to your smoothie. 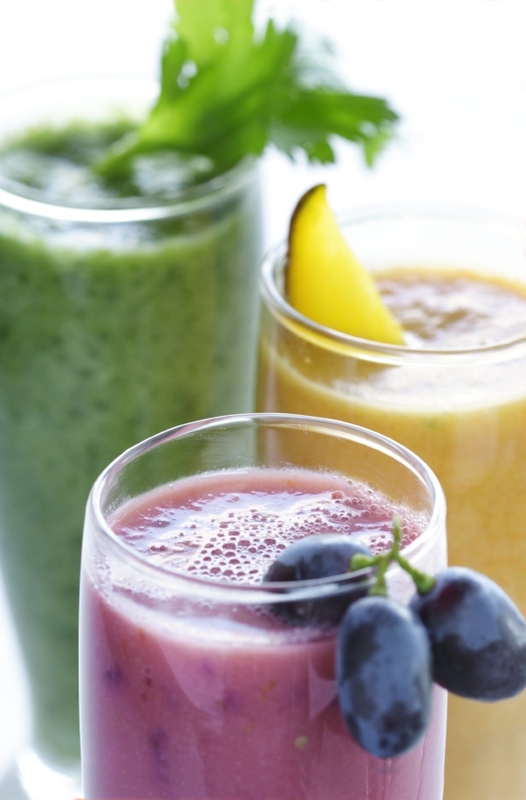 What I’m saying is use your imagination and recreate some of your favorite cocktails into tempting healthy smoothies. Perhaps a Mojito sounds nice. Start with a basic recipe of blended oranges or strawberries with a little lime and a touch of juice or water, then add a few ice cubes for that frothy look. Once blended, pour the smoothie into a large glass, add sparkling water or club soda for a champagne fizz, and top with a few sprigs of mint or a slice of strawberry. If a Bloody Mary is more to your liking, throw in fresh tomatoes with spicy peppers or a dash of hot sauce, a bit of celery, a few shreds of carrots, or whatever you enjoy. Once blended, adjust the consistency with water or even a light chicken broth. Yes, broth! Taste and add salt and pepper or even some drops of vinegar to mimic the tangy taste of the real thing. Serve with more vegetables or olives as garnish and enjoy this healthy version of a cocktail classic. Adding smoothies to your healthy diet doesn’t mean you have to necessarily give up your cup of coffee or tea in the morning. You may really like that little boost of energy from the caffeine, or want the health benefits of green tea or herbal tea. There are definitely ways to incorporate coffee or tea in a smoothie so you don’t have to miss out on either. Cool down your favorite brewed coffee (I make a pot the night before and then refrigerate it), and use it for the liquid portion of your smoothie. Ingredients that work well with coffee are yogurt, honey, orange, and berries. Just think of those instant flavored coffee brands you see in commercials and mix in similar flavors. A bit of raw cacao is also a nice touch. Green tea goes perfectly in just about any smoothie, especially smoothies made with vegetables such as spinach, kale, celery, or cucumbers. Many smoothie recipes call for ice cubes during the blending process. The addition of ice cubes is great to produce a frothy smoothie, but if you use too many, it can water down the finished product. One way to get a super frothy and cold smoothie without watering it down is to make ice cubes out of something other than water. For instance, if you’re making a fruity smoothie, freeze ice cubes made out of fruit juice. Try freezing small ice cubes of lemon juice for a nice punch of flavor in both green and fruit smoothies. Freeze coffee in ice cube trays to give a creamy smoothie extra flavor and a caffeine kick. Try ice cubes made of green tea for another layer of flavor and nutrition in just about any smoothie you like. Adding a healthy smoothie to your diet every day may seem like a lot of extra work in the kitchen, but it doesn’t have to be. With these slightly unusual tips, making smoothies can be so easy it will become almost second nature.